This picture shows Barry and Kenny Roberts side by side at the 1979 British GP at Silverstone. The Silverstone meeting became one of the most talked about races in history. 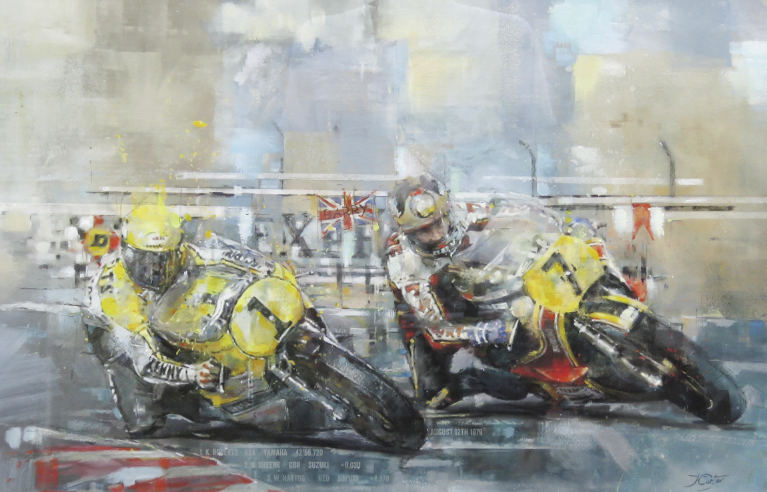 The pair went head-to-head in a breathtaking battle over 28 laps, famously exchanging gestures and hand signals throughout the race before a final corner dash to the line which saw Roberts take the win by just 0.3 seconds.